Odisha’s Ganjam, which bore most of the brunt of ‘Phailin’, may mean the granary of world but its tryst with destruction is not a new thing and experts put it among 15 districts in the country, which are “very highly” prone to cyclones. This time, the deadly cyclone had its landfall in Gopalpur, an ancient commercial port and now a prominent tourist destination, in the district on Saturday evening. 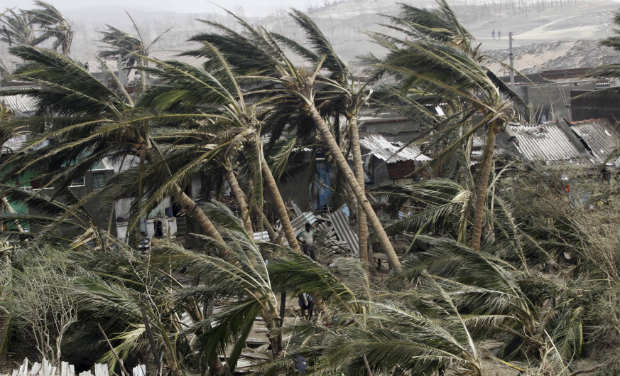 People and administration are now staring at a repeat of the 1999 Super Cyclone when the district lost 183 lives and incurred a loss of at least Rs 1,731.69 crore as experts. However, administration had taken steps and a huge bulk of the evacuation of a total of 4.5 lakh people from the coastal belt so far are from Ganjam. In addition, 40 per cent of the resources involved in relief and rescue operations are deployed in this district. NDMA Vice Chairperson M Shashidhar Reddy had said Ganjam district will be most affected and authorities have deployed its strength in abundance in this district. Derived its name from Gan-ia-aam, Ganjam is home to several VVIPs and top-notch politicians of the country, including former Vice President late V V Giri, former Chief Minister late Biju Patnaik and the current Chief Minister Naveen Patnaik. In a study aimed at upgrading the hazard profile of Indian landmass with reference to cyclone, experts G S Mandal of National Disaster Management Authority (NDMA) and M Mohapatra of Indian Meteorological Department (IMD) had placed this district in the most vulnerable district along with Balasore, Kendrapara, Bhadrak and Jagatsinghpur in Odisha. The other districts which are in the most vulnerable are: Nellore, East Godavari, Srikakulam, Guntur (all in Andhra Pradesh), South 24-Pargana, Medinipur, South 24-Pargana, Howrah, Kolkata (all in West Bengal) and Kanchipuram in Tamil Nadu. The study has said that in general, the coastal districts of West Bengal, Odisha, Andhra Pradesh and Tamil Nadu are more prone and are in the high to very high category. 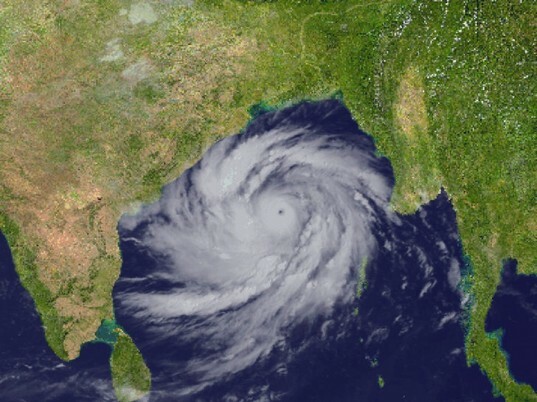 Thirty-three districts in Andhra, Daman and Diu, Gujarat, Odisha, Puducherry, Tamil Nadu and West Bengal have been clubbed in the category of “highly” prone while another 36 districts are categorised as moderately prone to cyclones. Eight districts are in “low” category. 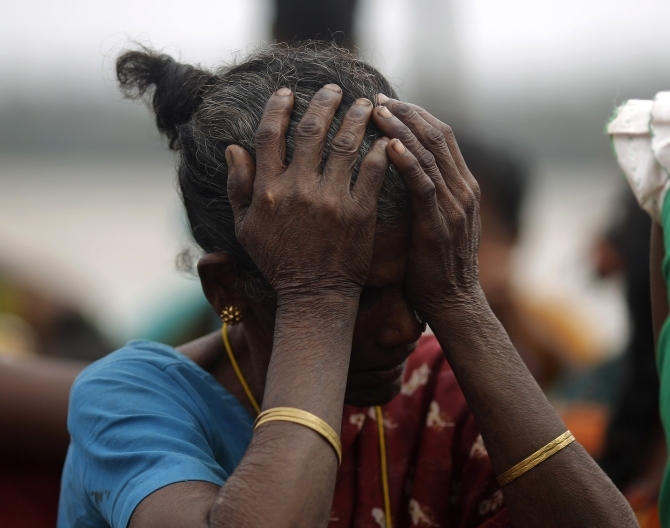 During the 1999 Super cyclone, 31.40 lakh people in the district were among the affected. Odisha government officials said 78,000 houses fully collapsed while another 2.44 lakh partially collapsed during the 1999 tragedy, incurring a loss of Rs 309.50 crore. The loss of livelihood system was pegged at Rs 355.60 crore while another Rs 1,066.59 crore worth damages were done to infrastructure. Besides losing 183 lives, the district also saw 402 people suffering serious injuries. Around three lakh farmers were affected while 2,869 cattles, 7,647 goats and sheep and 6.79 lakh birds died during the Super cyclone. Now with the cyclone fizzling out, its time to focus on assessing damages and rehabilitation of those who lost their livelihood. One has to wait and see whether the administration forgot about the massive rehabilitation exercise. Given the experience of pre-cyclone work, it is hoped that the pre-cyclone arrangements will follow post cyclone activities too. Previous A country in a hurry to hang people Next What one learns from Stampedes?